Congratulations to Ann Magers, office coordinator in the College of Arts & Sciences, on receiving the Outstanding Employee of the Quarter Award. 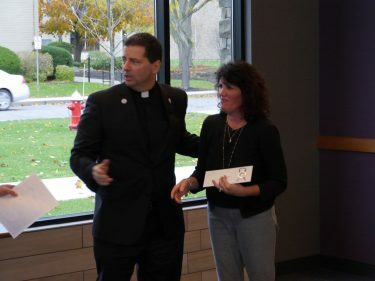 Ann began working at Niagara University in September 2008 in the religious studies department before joining the dean’s office in the College of Arts & Sciences in 2010. 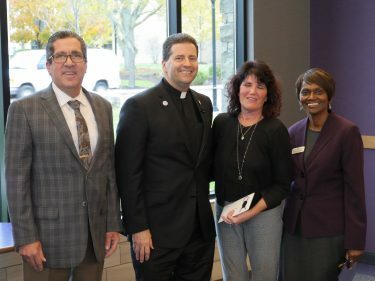 We are pleased to recognize Ann for her ongoing commitment to our university community and the Vincentian way of Niagara. Please join us in congratulating her as the Outstanding Employee of the Quarter! Please see attachment for full article.